Jutting into the often stormy Atlantic Ocean, Cornwall's 250 miles of rugged coastline offers only a handful of places sheltered enough to land a boat. Given the prosperity that came with fishing and trading, thriving communities grew around these coastal havens. 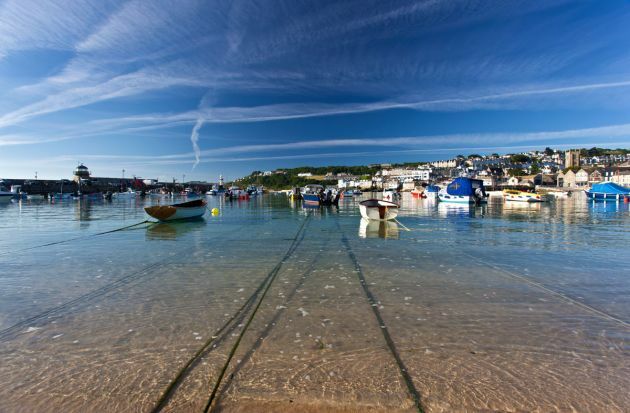 These became the harbour towns and fishing villages that are the gems of the Cornish coast. 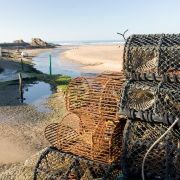 Often set in natural coves with steeply sloping hills running down to the coast these villages are home to the iconic chocolate box image of a jumble of whitewashed fishermen's cottages set on narrow, winding streets which spill down to the harbour. Even though harbours really are something of a rare commodity in Cornwall, with probably only around twenty significant ports, choosing the prettiest of the bunch was no easy task. 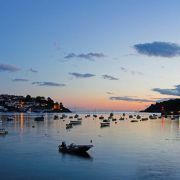 There are quite a few runners up worthy of mention including Looe, the Helford and Fal estuaries, Padstow and even Newquay harbour has plenty of charm. 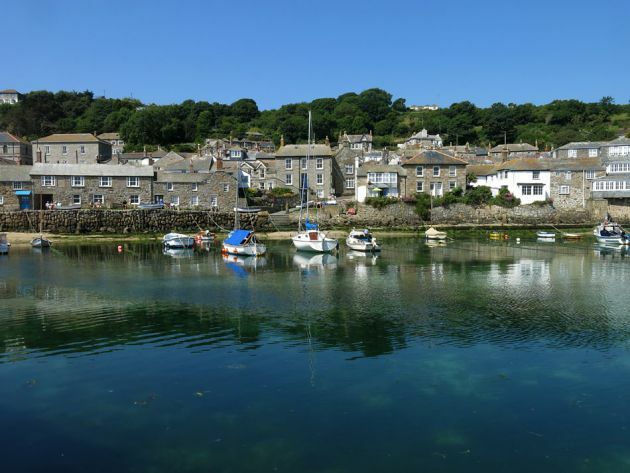 Tucked away in the shelter of the Lizard Peninsula is the remote village of Coverack. The small, horseshoe-shaped harbour here has an 18th century stone pier built from the local stone - green serpentine and hornblende. To the other side of the harbour are a clutch of whitewashed cottages. 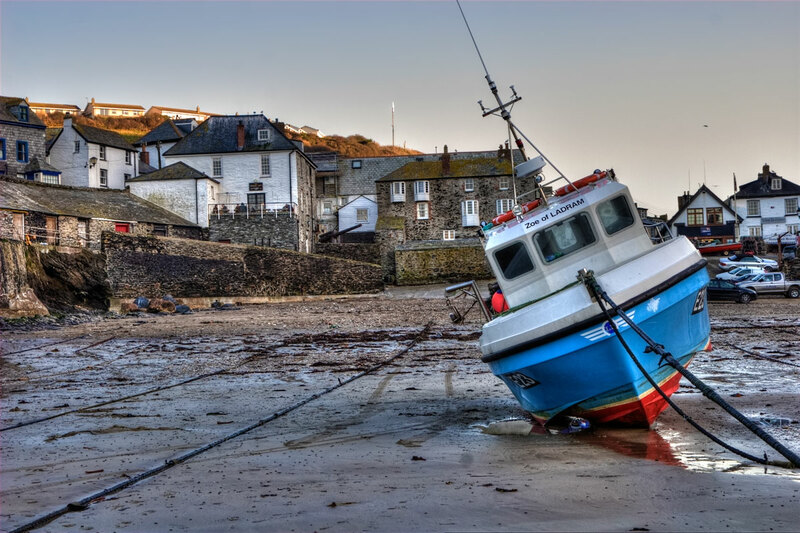 The harbour at Coverack was built at a time when there was a thriving pilchard industry. Although these days are gone there are still a number of small boats working from here in the crystal clear waters off the Lizard. Today the harbour serves as one of the village's main attractions that make it such a popular holiday location. Just a few miles along the coast from here is another lovely little fishing village, Cadgwith. The harbour here is actually the beach with boats pulled up on the shingle. If ever there was a natural harbour then Boscastle is it. A deep inlet up the Valency valley between the austere, towering rocky headlands of Penally and Willapark this is one of very few safe harbours along the North Cornwall coast. That said, the idea of sailing into the foreboding, narrow harbour entrance on anything but a dead calm day is pretty scarey. The harbour here is both beautiful and dramatic with the valley rising steeply up on either side. In the days before the railway arrived in Cornwall Boscastle was a thriving port serving much of North Cornwall. Today much of the traffic from the harbour is boat trips which take visitors wreck fishing or sightseeing and birdwatching along the coast. 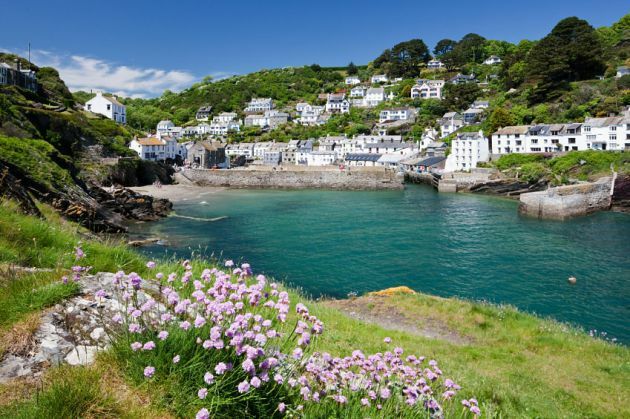 The bustling fishing village of Polperro is not quite what you would describe of a hidden gem. Anything but hidden the village attracts swarms of visitors during the summer months who flock here to see if it really is as pretty as all the guide books say. Well, the good news it is. Polperro is the archetypal Cornish fishing village; narrow lanes lined with whitewashed cottages spill down to a beautifully blue harbour where fishing boats bob alongside yachts. What-is-more, despite the pilchards being long gone, this is still very much a working harbour with boats still unloading their catch on the quayside at high tide. An interesting fact about Polperro is the iconic whitewash on virtually every building around the harbour is actually a relatively recent thing. 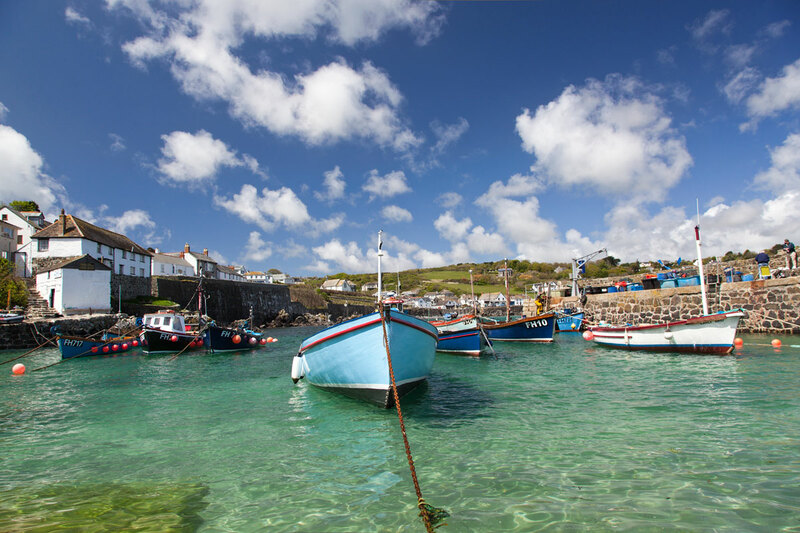 St Ives has a harbour that doubles as a beautiful beach, or a beach that doubles as a beautiful harbour. Which ever way you look at it this is one of the jewels in Cornwall's crown. On a clear summer morning there are few better views than looking across the harbour here towards the wooded cliffs of Porthminster and Carbis Bay beyond. 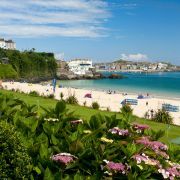 Obviously St Ives is anything but undiscovered and, as possibly the most attractive seaside town in Britain, it tends to be a little on the busy side. 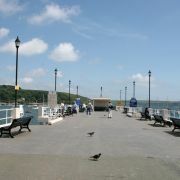 But even if there isn't enough room to swing a pasty along the wharfside there is always this picture perfect view. 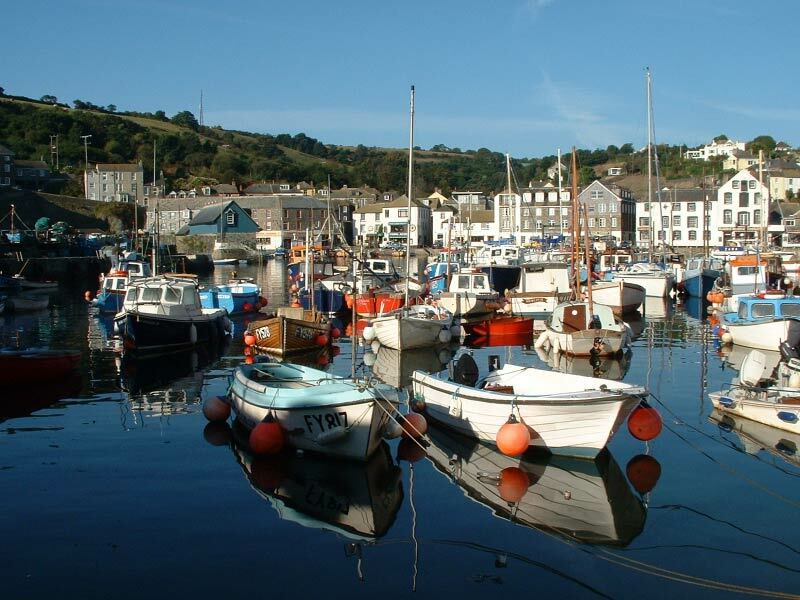 Mevagissey is one of the oldest working harbours in Cornwall and was once at the heart of the Cornish pilchard fishing industry. It is still a busy harbour and is home to quite a few small and medium sized fishing boats. These days though the fishing boats jostle for space with the tour boats taking holidaymakers fishing and sight-seeing out in St Austell Bay. Like most of Cornwall's harbours, Mevagissey is set in a valley. The attractive harbourside is a mix of slate, granite and whitewashed warehouses whilst a jumble of houses and cottages look down from the sides. There's plenty to explore around the quayside itself with both and inner and outer harbour all protected by the long and sturdy pier arms. The pretty little harbour in Mullion Cove is both charming and dramatic. Still worked by a few small fishing boats the sturdy granite piers are flanked by the sheer and jagged cliffs of the Lizard Peninsula. This section of coast is exposed to the worst of the Atlantic storms and just to make things a little more dramatic just offshore is the hulking lump of volcanic rock, Mullion Island. Mullion harbour dates back to 1895 when the pilchard industry was at its height. It is also said the remote cove was a popular spot with smugglers. 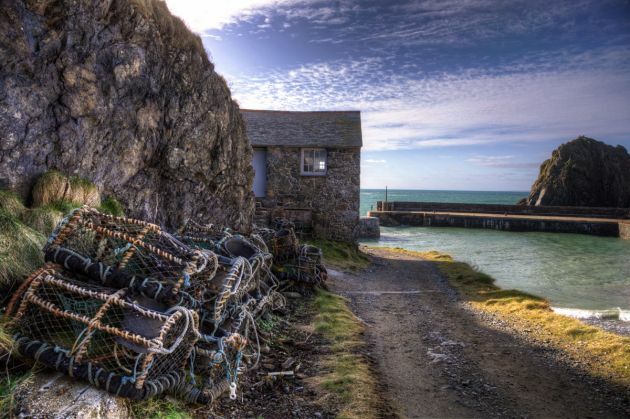 Today Mullion Cove is owned by the National Trust, along with the old pilchard cellar and net store. 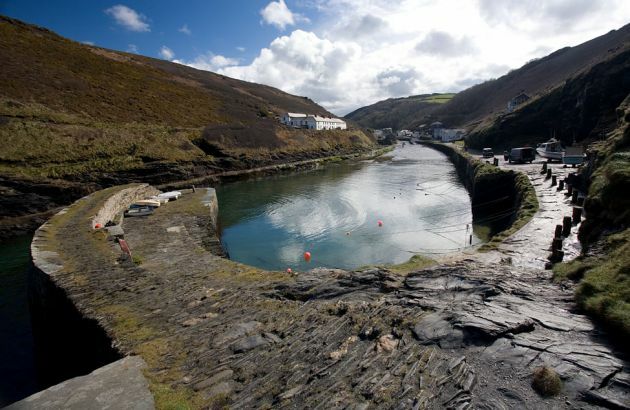 From relative obscurity to being one of the best known fishing villages in Cornwall, Port Isaac has largely been shoved into the limelight as the fictional "Portwenn" from the television series Doc Martin. Of course Port Isaac was not chosen by random as a filming location; the village is a perfect jumble of whitewashed fishermen's cottages spilling down to the harbour along some particularly narrow lanes. Of course Port Isaac's history as a port goes back long before Doc Martin and the village is in fact one of the oldest harbours in Cornwall. Originally known as Porth Izzick (corn port) this is where the local Delabole slate was shipped from. After the arrival of the railway Port Isaac became principally a fishing port and, as the small boats and crab pots piled up around the harbour will testify, there are still a fair few working boats. In addition a number of boat trips run from Port Isaac - both fishing and scenic. 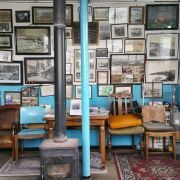 A visit to Charlestown near St Austell is like taking a step back in time. This perfectly preserved harbour has changed little since Georgian times and even has a resident fleet of square rigger ships. 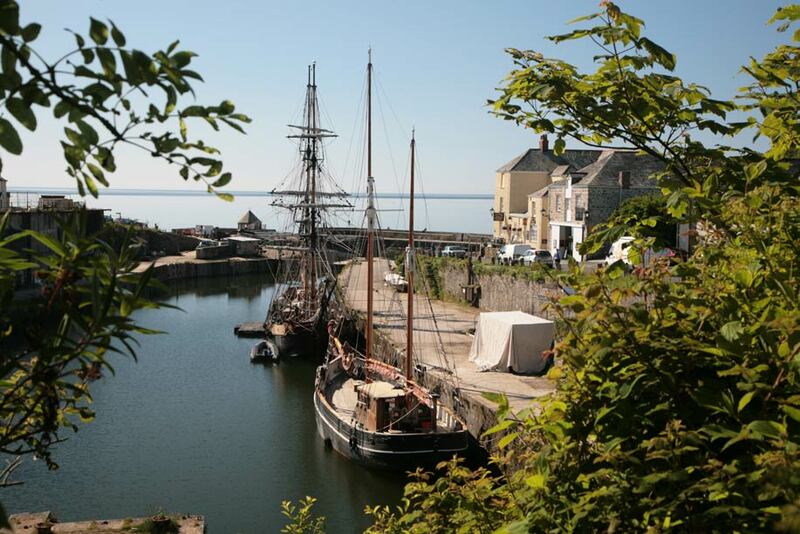 It is therefore no surprise that Charlestown harbour has been used as a location for any number of films and television series, including both versions of Poldark. The village takes its name from Charles Rashleigh who was one of the local landowning family. He built the village in the late 1700s originally as a port for shipping mine ores but this was soon overtaken by china clay exports. Beyond the granite quays are number of old Georgian cottages and buildings, all very much in keeping with the period feel of the harbour. With a quiet shingle beach either side of the harbour mouth and views out into St Austell Bay, Charlestown really is a gem. 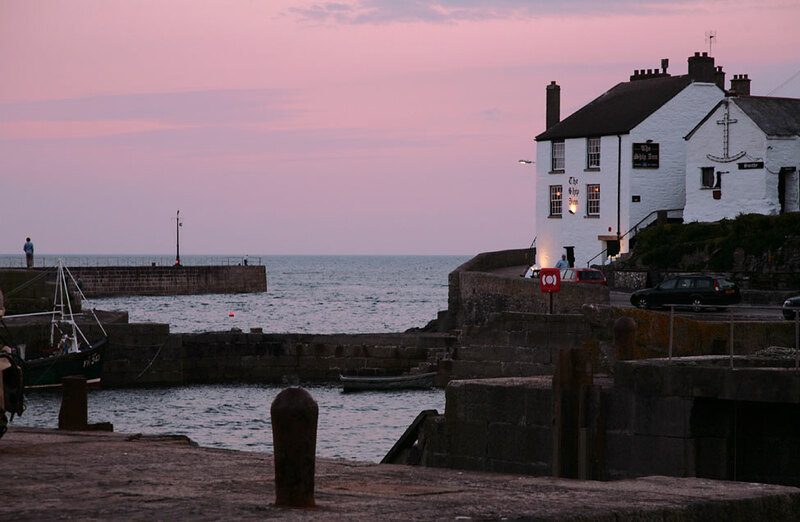 The harbour town of Porthleven holds the title of the most southerly working port in the United Kingdom. The harbour also faces south west into the prevailing wind and swells which is why the harbour walls are so massive. They certainly need to be as Porthleven is a favourite with storm watchers who head here to watch the enormous waves crashing over the pier. The harbour here is set in a valley with the town clinging to the hillsides overlooking it. As such most of the streets in Porthleven inevitably lead down to the harbour and there is nearly always a buzz of activity around the quayside. Lined with cafes, shops and a pub this is a great place to take in the view and watch the world go by. 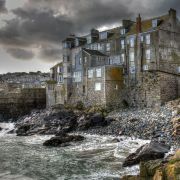 Mousehole was once described by the poet Dylan Thomas as being the loveliest village in England. Whilst some might dispute it is in England fewer would argue with the sentiment. Set on the western edge of Mount's Bay this village is firmly centred on its little harbour, and in fact named after it. The "mousehole" in question is not the little harbour itself but the narrow entrance to the harbour between the granite piers. During much of the winter this entrance is blocked by timber beams, placed here to protect the village from the worst of the storms. 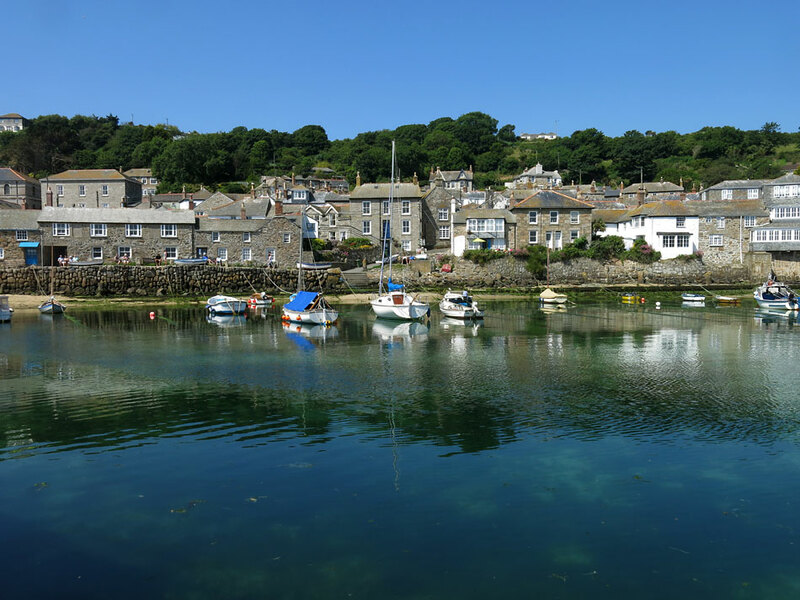 Along with the row of granite cottages, shops and a pub which overlook the harbour, Mousehole is blessed with a lovely little sandy beach which is absolutely perfect for younger children. When they get older they can progress to the local kids' pastime of jumping off the pier into the harbour.